I grew up going to a little country Missionary Baptist church, singing “The Old Rugged Cross“ and “When the Roll is Called Up Yonder” with all the men echoing words like “when the roll” in deep baritones. I took the “walk down the aisle” when I was 12, quite possibly because everyone was expecting me to. Every Sunday there was an altar call, and every Sunday, I felt the eyes of the congregation on me. OK, that could have been my imagination. But I really never felt that my life changed. I certainly walked away from the Lord during college and for many years after that. The Spring of 1996, a mother of my son’s friend at pre-school invited me to attend a women’s Bible Study. For a few short weeks, I watched a woman sing worship songs with eyes closed, hands raised, and the most amazing look on her face. Although I didn’t use the word “joy” in everyday language, I knew that was what I was seeing on her face. And I desired that. I watched her, with longing in my heart, to know that feeling, to experience whatever it was that she was experiencing. I couldn’t keep my eyes off her. Then the week before Easter of 1996, that same woman was the speaker. She spoke of what Christ went through the last week of His life – the abuse and scourging, what crucifixion REALLY was, and WHY He went through it, etc. She told us how much Jesus loved us. Although I had obviously heard that growing up, that message was usually overshadowed by fiery preaching, that in my recollection, told me what a horrible sinner I was and that I was going to HELL if I didn’t shape up. But this radiant woman was so PASSIONATE, emotional, and full of love. Her words blew me away. I was a wreck, and I realized for the first time that He did that for ME! That He loved ME! And I wasn’t the same anymore. Very inspiring! thank you for sharing. Thank you, Stephanie. Your gorgeous photos inspire me to start making more time to pursue the creativity God’s given me. Thanks! 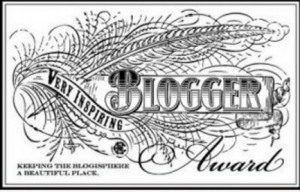 I love reading the “about” page of bloggers the most since it is the heart of the blog. I love salvation stories/testimonies and they still give me chills. God is so good. He never gives up on us. Thank you for sharing your story. 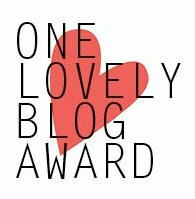 I’ve nominated you for the One Lovely Blog Award. 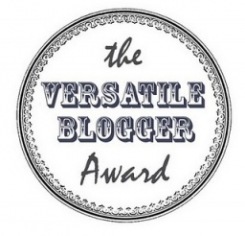 Click here for more info: http://pastorchrisjordan.wordpress.com/2012/06/16/one-lovely-blogger-award/. Thanks so much for the honor, Juliana! I will squeeze in some time to check it out & respond! Thank you for “liking” my most recent article! May God lead you forever into His glorious freedom! Amen to that! Thanks so much for stopping by and taking the time to leave kind words! Amen!! I love your lovely and honest testimony!! The Lord has blessed your writing abilities. Keep serving Him!! 🙂 I am encouraged!! Thanks so much for stopping by to visit! And thanks for your encouragement to me! Thank you for stopping by Lessons by Heart and “liking” today’s article about the Christian “F” Word. I’m always excited to meet someone new. Sorry, I didn’t take the time to write a comment earlier. But I really like that post! Sooooo easy to just be superficial & not authentic. Working on that! NP – there’s so much to read…so little time to comment. I tend to be a lurker, myself!